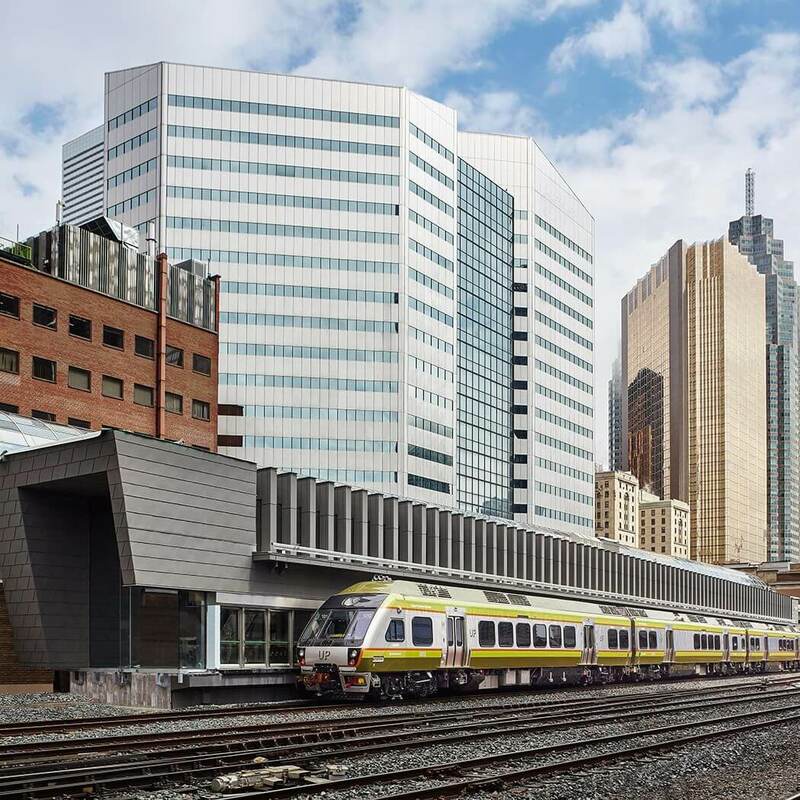 The Union Pearson Express downtown terminal is located right within Canada's busiest rail hub. The light-filled station was designed especially for UP Express guests, using a warm mix of natural materials. 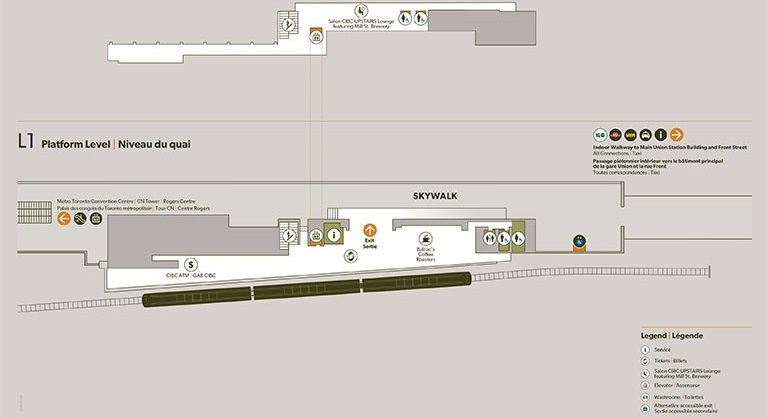 The UP Express stop at Union Station can be easily found within the interior Skywalk walkway. Our station is rich in amenities to ensure you have a delightful wait while in transit, such as light refreshments from Balzac's coffee. Our friendly guest service representatives will be happy to help you at the customer service desk with any questions. 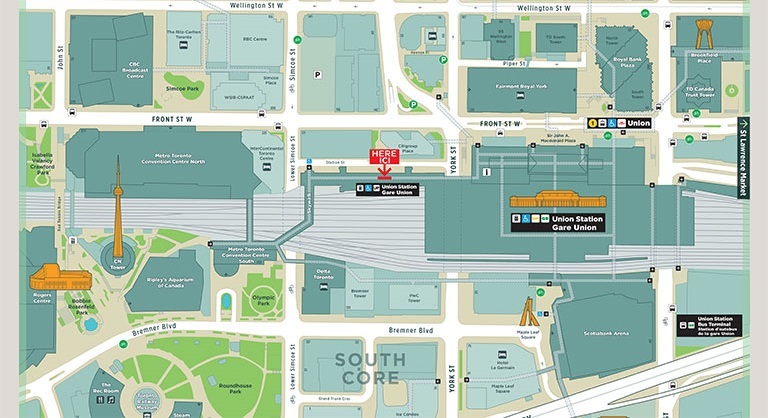 For guests continuing their journey, local connections to the TTC subway and streetcar lines, as well as GO Transit regional bus and train lines are an easy transfer away. 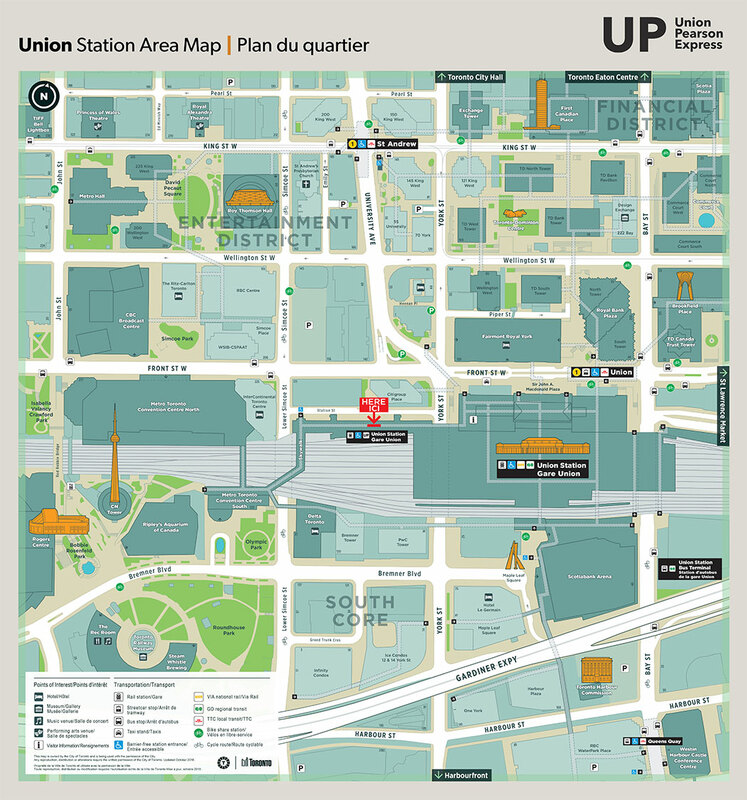 For guests staying downtown, Union Station is located in the bustling heart of downtown, close to hotels, restaurants, tourist attractions and business centres in the Financial and Entertainment districts. At Metrolinx your safety is our first priority. During the busy peak travel periods on UP Express, our Guest Services Representatives are now asking guests to line up on the platform to purchase tickets or have their tickets validated before stepping on the train. Guests who have already purchased a ticket or have tapped their PRESTO cards may join the lines, and have their payment quickly confirmed, before boarding the train. 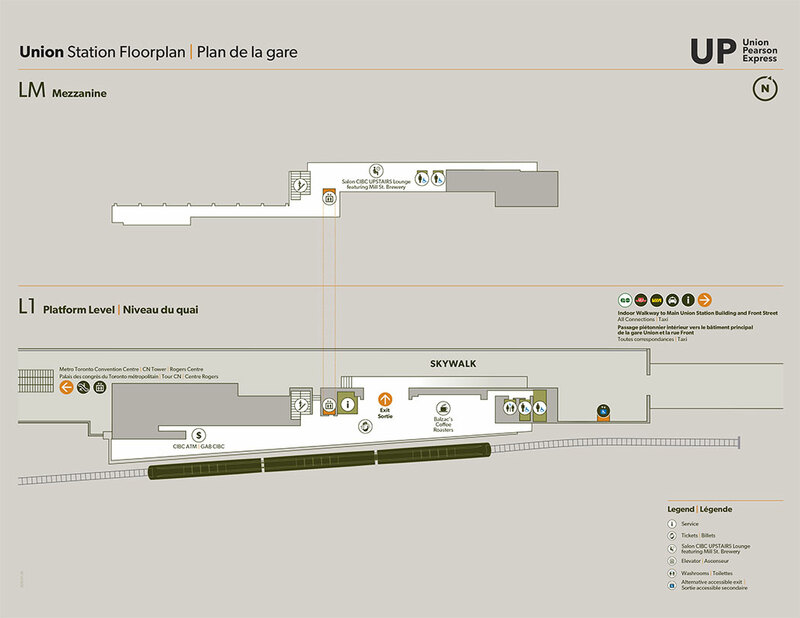 Please note that early morning and late night access to UP Union Station is available using the west entrance of the Great Hall (65 Front St West) before 05:30 weekdays and Saturdays (06:30 on Sundays/Holidays) and after 00:45 daily. Please note the lounge is open for guest use prior to 11am daily. UP Express does not guarantee the accuracy, timeliness or reliability of transit partner schedules. For the most up-to-date information, please visit the transit partner website using the link(s) below. VIA Rail operates Canada’s national passenger rail service on behalf of the Government of Canada, providing a safe, cost-effective and environmentally responsible service from coast to coast. 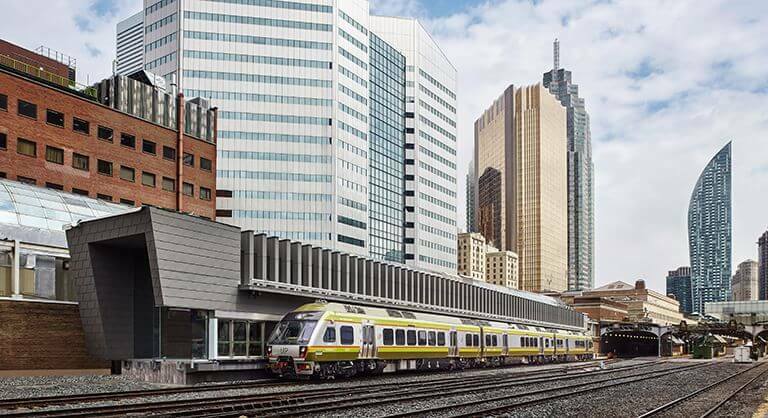 Via serves nearly 4 million passengers per year, from 400 communities in eight provinces in Canada with a network that stretches over 12,500 kilometres of track. VIA provides year-round, all-weather services, including the legendary train operating between Toronto and Vancouver. Please visit viarail.ca for more information about fares, schedules and stations.